The location of the Hanseatic League. The modern Hanseatic League is a mercantile alliance of 29 worlds. Lyran refugees arrived in Hansa space in the late twenty-ninth century as a direct result of Archon Elizabeth Steiner's Military Disaster Order. As their influence increased, the League took shape, and was officially founded in 2891. Gradually the League amassed a standing army, the Hansa Security Force. The HSF is composed of "Regional Defense Forces" and a "Convoy Protection Force". RDFs possess conventional combat vehicles and BattleMechs and are used primarily as combined-arms garrisons and pirate hunters. RDFs 1-5 are brigade-sized commands composed of a BattleMech regiment and conventional forces. BattleMechs from RDF 6 (a single reserve regiment) are rapidly deployed to supplement each RDF. 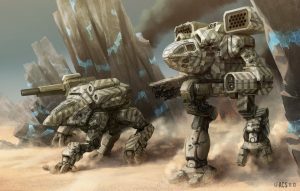 BattleMech assets are deployed in company (or companies) of 'Mechs, while conventional forces are fielded as battalions. 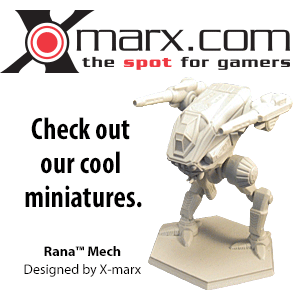 The Hansa has never fielded greater than a single battalion of BattleMechs in a single military operation. The League has also maintained many mercenary contracts, bolstering the size of their 'Mech assets. Hanseatic League merchants are direct competitors of other Periphery traders, especially those of the Diamond Sharks, and military actions have been taken by both parties. These open hostilities culminated in 3055 with a skirmish near the Chainelane Isles, in which the Hansa lost 2 Jumpships and several Dropships. Since this skirmish, the Hansa has attempted to avoid conflict with the Clans, and merchants have a tendency to direct mercantile interests anti-spinward and rimward (away from the Clan Homeworlds). The Hansa has also made a concerted effort to improve the capabilities of their CPF; it is speculated that another conflict would not necessarily result in "another easy Sharks victory". Due to the success of Hanseatic trade ventures, the League's free trade worlds are beacons for commerce and information with the deep periphery. These worlds are also home to every type of intrigue; agents, traders and warriors of other deep periphery realms as well as Comstar, the Word of Blake, the Clan Watch, Bandit Caste Clan exiles, and several Inner Sphere intelligence agencies can be found on each of these worlds. Indeed, as the consummate capitalists, the League is quite pragmatic and recognizes the benefit of having many "trading" partners. The climate has allowed to Hanseatic League to play all sides with as little spilled blood as possible; information, goods and services are sold to the highest bidder, and with the number of competitors present, it is always a sellers market. In 3088 and 3089 Clan Star Adder authorized a long term reconnaissance in force that struck several systems in the Hanseatic League. Most of the Adder's Epsilon and Gamma Galaxies were involved, as was a complete naval Star. Though they returned without two Clusters and a WarShip, they had found several systems outside the League that would make good staging bases. The creation of the Escorpion Imperio also created turmoil in the League, as merchants began engaging in rebellions and other attempts to gain or extend their power. The Hanseatic League draws its name from the historical Hanseatic League on Terra. ↑ Field Report: Periphery, p. 24, "Last Known Deep Periphery Deployment Map"